When buying a Fifth-Wheel there are a lot of things to consider, especially the price. So I went looking to find fifth-wheels at everyone’s price point. What are the average prices for a Fifth-Wheel? The average price of a Fifth-Wheel is going to be in the 25,000 to 100,000 dollar price range. There is a wide variety of models that have different capabilities and accommodations which can vary the price of the fifth wheel. The more amenities and luxuries, the greater the price. When compiling this list I thought of ways to truly show the differences in the prices. And to best describe how much the prices vary according to the maker, I focused on the 2019 model year. This helps us all look at the different prices and truly understand what we are looking at here. A fifth-wheel is like a car, the second you take it off the lot the value goes down significantly. This is something to remember when buying a Fifth-Wheel, some of us like knowing that we were the first ones to drive it and it has not been in any accidents. 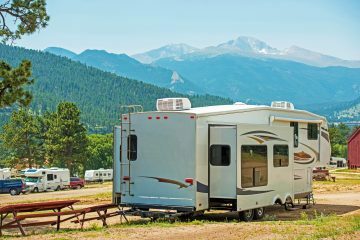 So how much is your Fifth-Wheel going to depreciate? Usually in the first 3-5 years when most people start selling their campers we see that it depreciates anywhere from 25 to 40%. 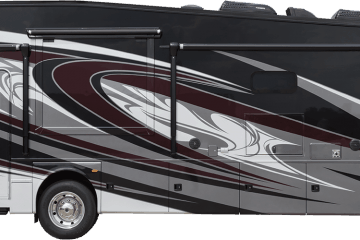 So when you bought your 100,000 dollar RV with all the bells and whistles, it will now trade for about 60,000 to 75,000 which is a decent turn around if you were using your vehicle and were nice to it. The first year is always the biggest drop when it comes to depreciation, it ranges from around 20 to 25%. Making that first year of travels your most expensive. Then it begins to slow a bit, with the second year dropping only 5 to 10%. This, of course, depends on how nice you are to your vehicle. And for the next five years, it falls anywhere from 5 to 10% in value. It is around year 9 that it hits 50%. The price of the vehicle has to do with just the year model. It has a large part to do with what it has to offer. This goes from towing power to ammedities inside and out of the vehicle and more. There are many types of Fifth-Wheels that will guide your decision in what you want, and what you are willing to spend. 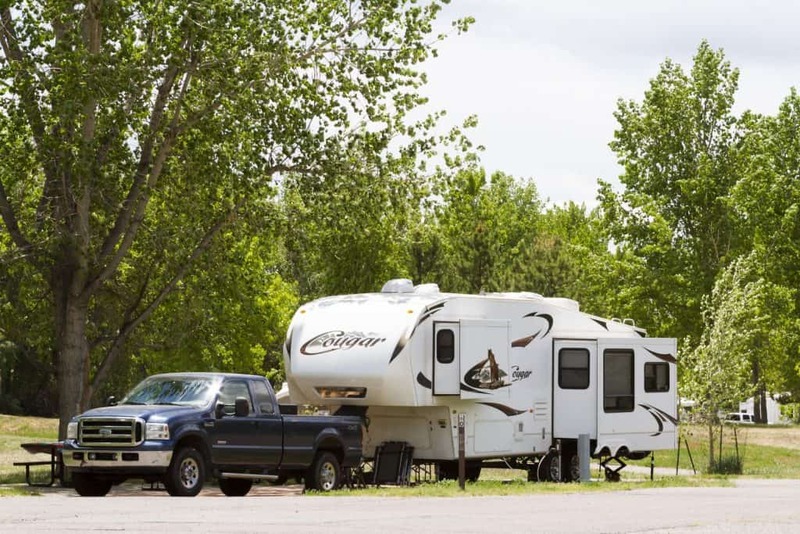 If you are using your Fifth-Wheel as a home base on a fishing trip with one or two people, you are not going to be looking at our 6 figure Mobile Suites. But if you are trying to assimilate your significant other to the outdoors. You might want to get a more lavish vehicle to lighten the blow of family camping trips. Our group of luxury vehicles is obviously going to be the most expensive group. The group that hits or comes close to the 6 digits. Those are going to be the 5-star hotels of travel trailers. 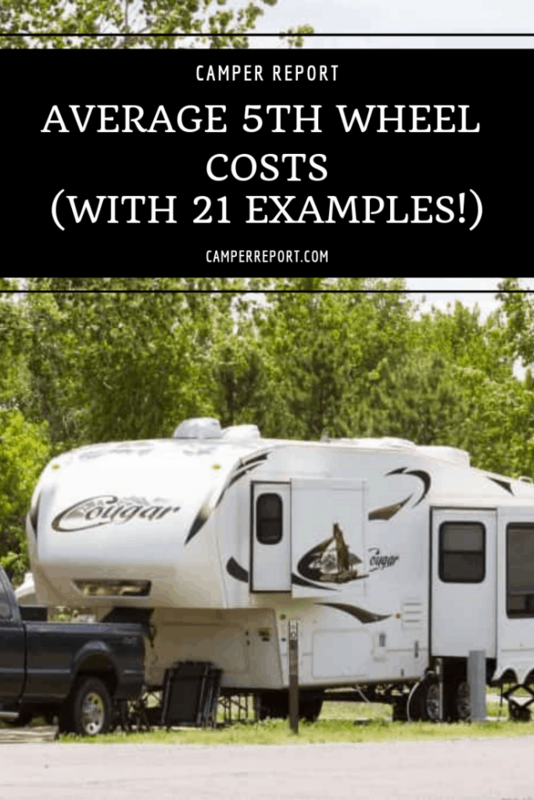 Why would you spend this much on a camper? Well, it is because of all the bells and whistles. Most of these models including the Mobile Suites, Keystone Montana, Redwood’s Redwood model and our Grand Designs are going to ready for you just to move it long term. They all have beautiful master suites with plenty of room for clothing and other personal belongings. Usually, they have different mock graniet countertops that are very appealing to the eye, and fine dark wood cabinets that make you feel like you just left that side of Ikea that makes you want to redo your entire kitchen. There is usually plenty of other beds for everyone else that is going to come with you on your “glamping” trip. With leather couches that fold out to full and queen size beds. Statium seating where your seats recline out to give you optimal relaxation. They are also just dependable models, they are not going to be your fixer-uppers where you are likely to have to have as much know-how in fixing things up. When I say the everyday camper I think of the buyer who has had some experience outdoors. Maybe they are most accustome to being in trailers or even just want to up their sleeping bag for a real tent. They know that this is an investment for them and their fifth-wheel will get plenty of use. Models that come to mind when I think of this group are the Jayco’s models, The Wildcat, and Forest River. These are our middle class group. They are wonderful but do not necessarily have all the bells and whistles of the luxury side. These are not going to be our people that have Wi-Fi connection or are likely to be in the camper more than it is needful. These campers will still have full kitchens with stoves, microwaves, ovens and a large refrigerator for all of your needs. But it will be more of a homie effect. The sleeping situations will usually be a little cozier, all of these models do have master suites. Which is a godsend when you camp with your family for all parties. When I think of an adventurer I think of people who have other toys with them on their journey. They are going to be the people who need to be able to tow their other things with them on their excursion. And I think of The Dutchman Voltage. This is going to be a good middle point between luxury and functional. This model, like other models, has a built-in garage that can be shifted into living spaces. Which is a really nice if you are going with a group to go dirtbike riding or going on your four wheelers. This vehicle has a full master suite and kitchen. But the seller is that about 2/5ths of the length of this camper can convert into your own garage. Then when you pull all of your bikes out, it can change into a bedroom with flip down bunkbeds or couches depending on what you want. If you are new to the camping scene, maybe you used to go when you were young and want to introduce this to your family. You are not sure how often you are going to be able to get out and want to feel it out. These are great smaller economical models that are great. Models like The Keystone Hideout, Winnebago Minnie Plus, and the Crossroads Voltaine. These more compact models will be ready for you to go. They are rather simplistic, but if your goal is to be out in nature it will be great. They normally do not sleep as many people unlike our other groupings, but they are fun for smaller families and individuals. What is the Ideal Model Year to Buy/ Sell? If you are not looking to buy your fifth-wheel new, your question might be what year would be ideal to get? Looking at our rate of depreciation most Fifth-Wheels turn around in the 3-5 year area. When the price comes down anywhere from 30 to 50% off its original retail value. This is a great year to buy because you know there has probably only been one other owner. Making it easier to get the vehicle’s history of repairs and any accidents it might have been apart of. It is also a good time to sell because you have gotten a few years out of use. And with that, you will also get a good return rate for your next adventure. 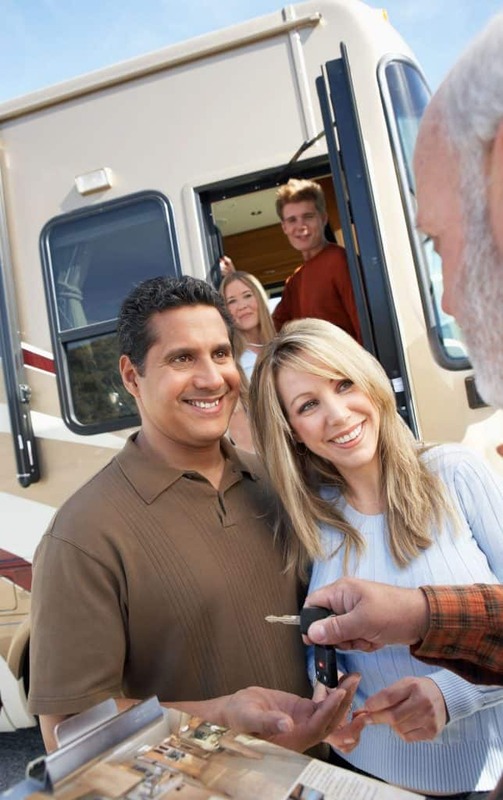 There is a large crowd of people who will have their RV or Fifth-Wheel for a few years and then trade up. The days of buying things online are really dying out, and many times it is hard to find a dealer with what you want near you. 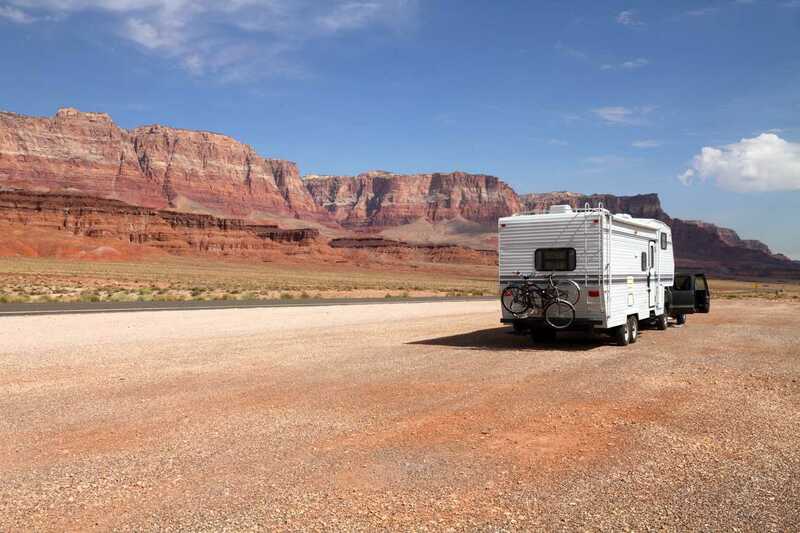 One of the most commonly used websites for buying used campers is RV trader. So if you are buying or selling your camper, this is a great place to get it. Ensure that you get the report of inspections, accidents, and different things that were fixed or replaced throughout the years. This is both a consequence of what the vehicle has been through, but it also helps you plan out what needs to be fixed or replaced next. If you should have money put away for something that has not been updated in a number of years. These are going to be your internal aesthetic changes, like what kind of flooring you want, leather, countertops, etc. These are not as expensive to do, but they can add up. Often you can buy from a dealer with these changes in mind. They will usually be in the hundred to maybe a thousand to change. You can also do things that have a bit more impact with things like heating, Wi-Fi extenders, and other appliances. These will raise you a few hundred if you have modifcations like this. One that most want is a back-up camera on the back of their RV. This is a big one, that I highly recommend. These monsters can be a pain to park, and with a backup camera, it can change the game. This can cost you anywhere from 300 to 600 dollars. You might want a better stabilizer which can cost as low as 40 dollars to get. Something that can easily be monetarily worth it in the long run is to have a solar connection for you RV. To use less gas from your generator, but still have the energy throughout the day. You can get solar pannels on your vehicle through your provider or buy it personally and install them. They are cheaper than you would think, to buy yourself they can be less than two hundred dollars. 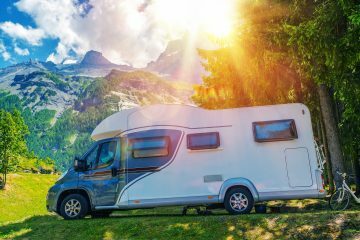 There are things to think about when buying your first RV, besides the initial price tag. You have to think practically about different elements when deciding what you are using it for, how you will store it, and more. One thing you need to be aware of is the length of the trailer. Think of how annoying it is to park your huge ton truck that you need to tow this monster. How comfortable are you driving a huge rig behind you? 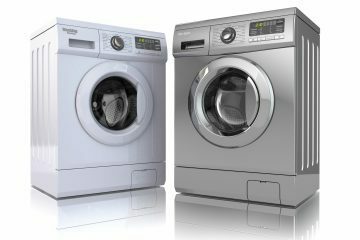 Be aware of this before you fall in love with one of the luxury models, they are known for their extra room, but that also means extra length. If you are driving cross country with a huge Fifth-Wheel behind you on a normal highway. You will be driving slower, and need to be very aware of your Fifth-Wheel and the cars around it. Another thing is, where are you going to store it? Is your side yard ready for this large piece of machinery? The more space your fifth-wheel takes, the more expensive it is going to be to store. Do you have land that you are planning on parking it. How long and wide is your flat parking spot? 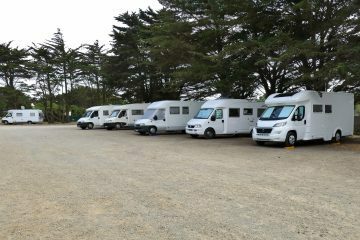 Many RV parks do have length resrtrictions, and limited parking. You have to be ready to park your truck and your camper on that piece of land they give you. These elements of length are not always on our mind, so be aware. If you have a truck already, you need to be aware of how much your specific truck can tow. What attachments are needed to tow your camper behind you safely? There are certain Fifth-Wheels that are light enough to be pulled by a half-ton truck, but not a lot. Your camper does weigh a certain amount. But how much do you plan on carrying with you? What is the campers weight capacity? 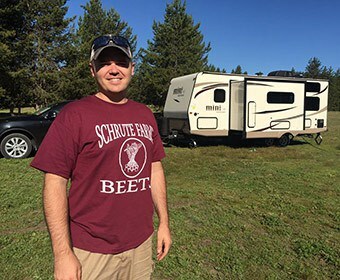 If you have a 15,000-pound camper, you will find that it might end up weighing 17,000 before you know it. How much does it weigh when your water tanks are full? 75 pounds of water, adds up as well. Your camper is equipt with three different water tanks, you need to know how big of a water tank you need for the type of excursions you are on. Who is going to be in your camper with you, and what you will be using your camper for. A freshwater tank is exactly what it sounds like. It is where the nice water you get from a wheel, or water truck comes from. This is the water you shower in, wash dishes, wash your hands, and just whenever you need freshwater. Your freshwater tank can be something around 70 gallons or so in a Fifth-Wheel. Which can be good for a few days trip with the family or a week with a couple. When buying your camper, you should know how big your tank is. If you are going to need a bigger one, or if you are going to need to have access somewhere else. This is where your nice clean water goes after it is a little less clean. The water that runs down your sink, shower and from your dishwasher. It goes here when you are done. It is also important to know the capacity of this tank. How many individuals are going to have to take showers on your trip? Are you going to be doing a lot of dishes? These are things to think about when buying your camper. Always get a bigger tank than you need, and I also do not recommend filling this too close to capacity. It is ideal to dump it about 2/3. It just makes the whole emptying process so much easier. One thing that is nice, if you are not at close access to a dumping area for either your black or grey tanks, but it needs to be dumped. You can get a tank caddy, to empty out. If you have a camper, please get one of these. This is not a suggestion, but a plea. I promise it will get used more than you think. What is the cost of fifth-wheel insurance? The average price to have a Fifth-Wheel insured is from 800 to 1,000 dollars a year. 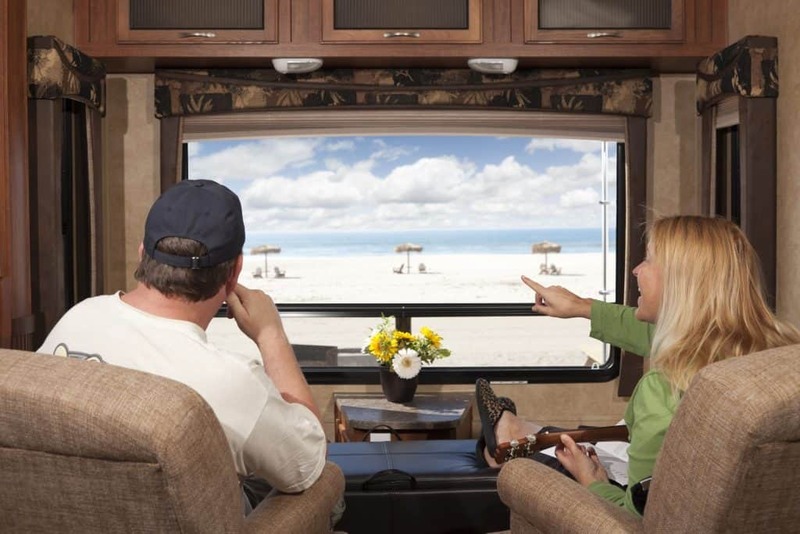 A more luxurious Fifth-Wheel can be anywhere from 1,000 to 1,3000 a year to insure. It can also depend on credit history and driving and accident history. How much does a Fifth-Wheel hitch cost? The price of your hitch is going to depend on your Fifth-Wheel and the weight rating and size of your hitch. Most fifth wheel hitches are 2″ or 2 and 5/16″. The larger hitches generally have a higher weight capacity. I have found hitches from anywhere between $400 to $2,000. Do Travel Trailers Have Built-In Generators?